DESCRIPTION What a deceptive home! Positioned within the heart of Bishop Sutton and offering accommodation that is arranged over three floors this versatile home is bound to tick a lot of boxes for a lot of buyers. The situation within the Village is great, just a short walk from the three P's, Post office, Pub and Primary School! The location will also lend itself perfect for commuting to the nearby cities of Bristol, Bath and Wells. The property itself is entered at the front into a traditional entrance hallway. The aforementioned accommodation is arranged over three floors and was actually converted some years ago from an original mill! The ground floor comprises of a large reception room with feature fireplace and brilliant bedroom that boasts its own ensuite bathroom. A twisting staircase at the back of the property leads to the first floor. This floor provides most of the living accommodation at the property which includes a well appointed kitchen and a large open plan dining as well as a family room. The first floor also provides access to the rear gardens as well as the garage and off street car parking. A further twist in the staircase leads to the second floor where two further generously proportioned bedrooms can be found. Both of the bedrooms are serviced by a large family bathroom. As previously mentioned the property also offers a private, level rear garden which is totally secure. The property also benefits from a pleasant front garden which comprises mature flower and shrub borders. At the back of the property there is the added benefit of the garage and allocated parking space to the front. SITUATION The village of Bishop Sutton (www.bishopsutton.org.uk) offers local facilities including shop/post office, hairdressers, pub and a well regarded primary school (www.bishopsutton.bathnes.sch.uk) and church. There is even an Indian restaurant (Sutton Spice)! There is a daily school bus to Chew Valley Secondary School (www.chewvalleyschool.co.uk). The Bath & North East Somerset village is perfectly placed for commuting to both Bristol and Bath, whilst long distance travelling benefit from Bristol International Airport a short distance away, mainline railway station at Bath and motorway access at a choice of M4 and M5 junctions around Bristol and Bath. The Chew Valley is renowned for its beauty, the lakes are noted for their fishing, birdlife and sailing. Country lovers can enjoy all of this plus walking and riding on the Mendips close by. 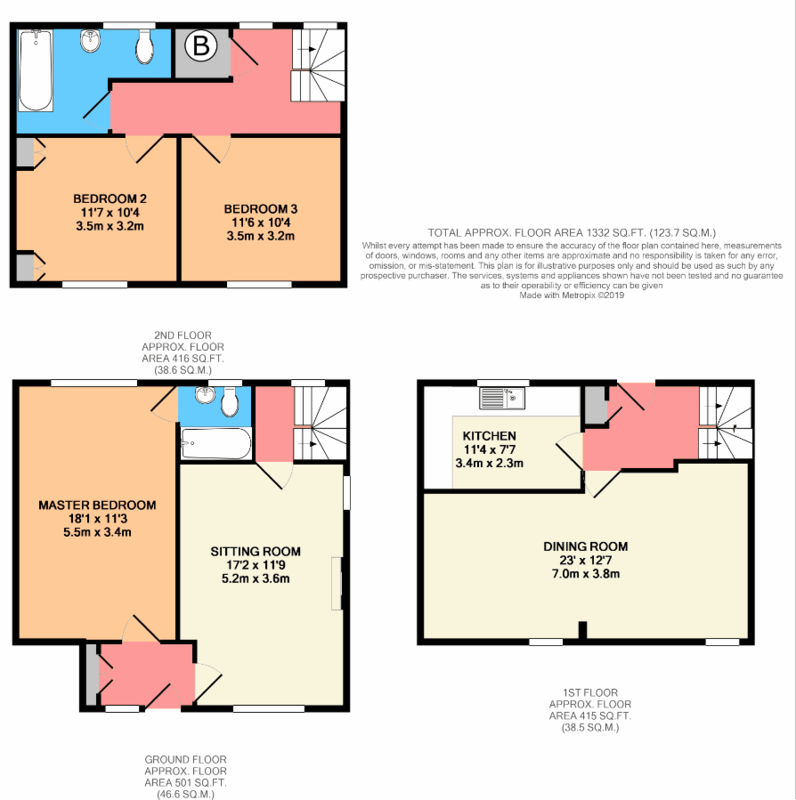 Three bedroom home Deceptively spacious!